I often become inspired by what I find at the market. Today, Meyer lemons. Perhaps it’s the gorgeous, sunny weather today. 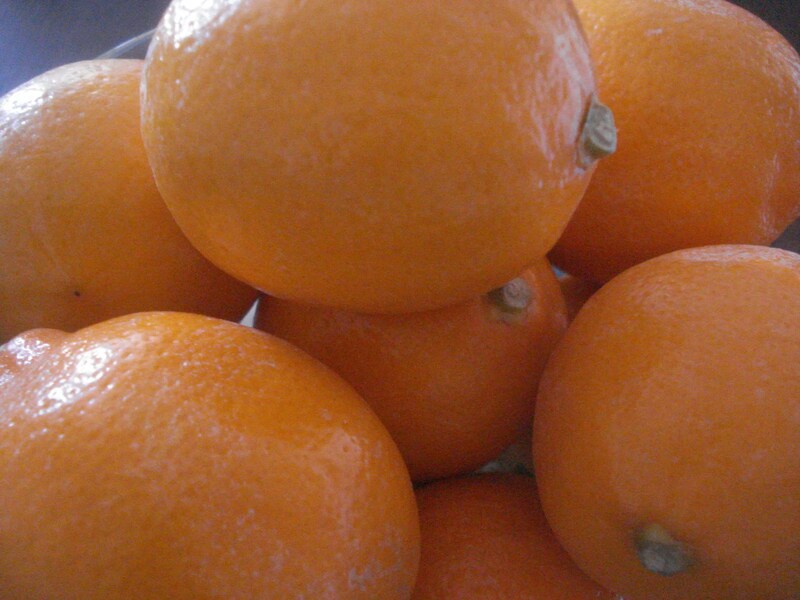 Meyer lemons are a thinner-skinned, less tart version of their counterparts. They are lovely and fragrant. My kitchen smells incredible, fresh. Bring a little sun into your kitchen with these cookies. Since the dough chills for one hour, you can delay preheating the oven. 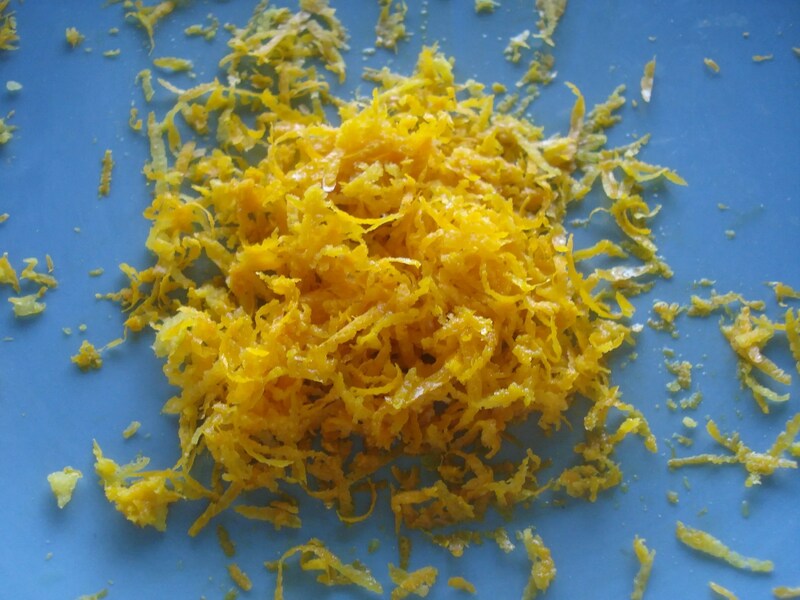 Using a microplane grater, remove the zest from 4 Meyer lemons. Reserve 1 1/2 tablespoons for the dough. Mix butter on high speed until fluffy and add sugar and egg. Continue mixing on medium speed and add vanilla and lemon rind. In a separate bowl, mix together dry ingredients until blended. Mixing on low speed, slowly add the flour mixture to the creamed butter mixture until blended, scraping the sides of the bowl occasionally. Gather dough into a ball and cover with plastic wrap and refrigerate for 1 hour. While the dough is being chilled, juice the lemons you removed the zest from earlier. Add the remaining lemon rind to the juice and slowly mix in the powdered sugar. It’s better to err on the side of too thick for the icing as runny icing won’t form nice stripes. Preheat the oven at some point to 375 degrees F before the dough is done chilling. Remove the dough from the refrigerator and roll into 1 1/4 inch balls and place on ungreased cookie sheet. Flatten the cookies with a glass or measuring cup. Coat the bottom of the glass or cup with sugar between flattening. Try to get the cookies around 1/4 inch in height. These cookies taste better crisp, and failing to flatten the cookies will result in too cake-like a cookie. Bake 10 – 11 minutes until edges are golden brown. More crisp is better, so don’t be over eager to remove them until they start to brown. Remove from oven and transfer to cooling racks to cool completely. Set a plastic bag in a glass and pour the icing mixture into the plastic bag. Snip the corner off the plastic bag and pipe stripes along the cooled cookie tops. Let the icing harden fully before transferring to storage container. When you’re pressing the cookies flat with a glass, push the glass on some dough to create a sticky surface, then dip into a shallow dish of sugar. The sugar really helps the dough not to stick to the glass and gives them a crunchy top. If you don’t have a microplane to grate the zest, just use the finest grate on your regular cheese grater. I ended up using about 1 1/2 cup powdered sugar for the glaze because it wasn’t quite thick enough. If it’s too thin it will just make the cookies soggy.